Please do not send any commercial or promotional email to any of these email addresses. 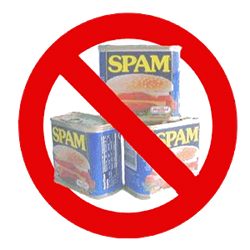 There is simply too much unsolicited commercial or semi-commercial email and we do not expect our volunteer helpers to process it and we will not bother our members with it by forwarding it. Are you a local runner looking for information on joining the club? Or are you a member with a query relating to Harriers membership? The contact is Petra Bijsterveld the Membership Secretary at mship@ilkleyharriers.org.uk. Got some Harriers news or results? Send it to news@ilkleyharriers.org.uk and it will be forwarded to Paul Wood for these web pages and to Jonathan Turner for the Ilkley Gazette sports report. The Gazette deadlines (report sent first thing Tuesday) mean that we really do need reports asap please! For anything related to the web site, the contact is Paul Wood at paul@ilkleyharriers.org.uk. Our Club Secretary is Hilda Coulsey and emails sent to secretary@ilkleyharriers.org.uk will be forwarded to her. See the Communications Page for ways to get out a general message, or ask Petra (mship@ilkleyharriers.org.uk) for a person's details if you really need to get in contact with someone.